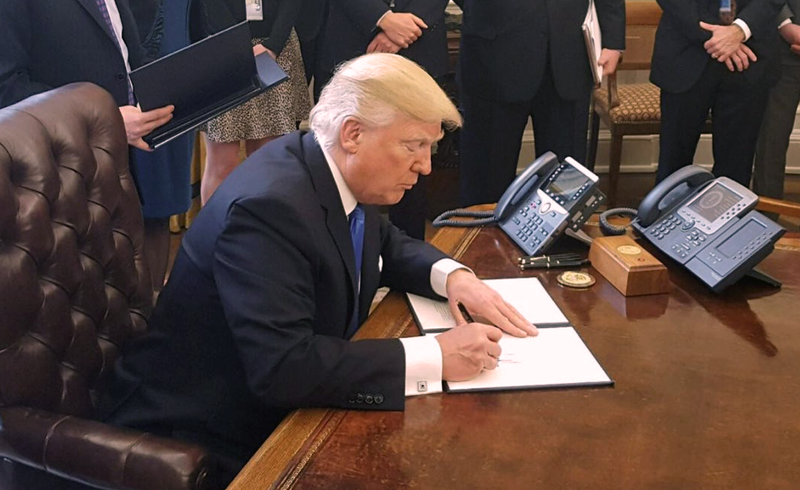 On January 25, President Trump signed a pair of immigration-related executive orders, one dealing with border security and the other with immigration enforcement in the interior of the country. The order on border security has received the most public attention—particularly the “great wall” that Trump is so anxious to build. But it is the other order that presents the greatest danger to unauthorized immigrants. The order, Enhancing Public Safety in the Interior of the United States, effectively makes all unauthorized immigrant in the United States an “enforcement priority,” regardless of whether they entered the country without inspection or overstayed a visa, and irrespective of whether or not they have a criminal record. And the order ramps up efforts to find and remove unauthorized immigrants from the country by expanding the ranks of U.S. Immigration and Customs Enforcement (ICE) agents and transforming more local police into immigration agents. In reality, an enormous amount of evidence has accumulated over the past century demonstrating that high rates of immigration are associated with lower crime rates, and immigrants are less likely to commit serious crimes or be behind bars than the native-born. This holds true for both legal immigrants and the unauthorized, regardless of their country of origin or level of education. In other words, the overwhelming majority of immigrants are not “criminals” by any commonly accepted definition of the term. A second major flaw in this order is that it treats unauthorized immigration as if it were exclusively a law-enforcement issue and nothing more. It calls for 10,000 new ICE agents; agreements between the federal government and local police that would enable the police to act as immigration agents, and consider withholding federal funding from so-called “sanctuary cities” in which police don’t ask people about their immigration status so as to maintain trust with the communities they serve. This fails to recognize that unauthorized immigration is a symptom of a larger problem: an immigration system in which avenues for legal immigration are out of sync with the economic and social forces which drive immigration. A third key problem with this order is that it fails to establish any priorities for determining which immigrants to detain and deport first. The order states that the Department of Homeland Security (DHS) should prioritize the removal of any and all “aliens” who have been convicted of a crime, charged with a crime, or committed an act which could be construed as a chargeable crime—not to mention anyone who has crossed the border without permission or overstayed a visa. These priorities are defined so expansively as to be meaningless. Real enforcement priorities would zero in on violent criminals first—not unauthorized immigrants driving in a car with a broken tail light. In the final analysis, this executive order is little more than a crass form of immigrant-bashing. Unauthorized immigrants are stereotyped as criminals and treated as such. No consideration is given to the financial costs of new enforcement measures, the social costs of tearing apart U.S. families and communities in order to deport non-violent individuals, and the undermining of community policing by turning police into immigration agents. No matter how you look at it, this order is a disaster.